The Feed – Crescent pure bred Angus Beef cattle is pasture raised year round on over 6000 farms in beautiful ​New Zealand. These animals are grass fed 365 days a year, as opposed to locally in the US, where due to restraints on weather and land, cows cannot be grass fed all year long. Most animals in America eat hay and other forms of grasses such as corn stalks, especially in the winter snow, locally, animals are unable to graze on pasture grasses. 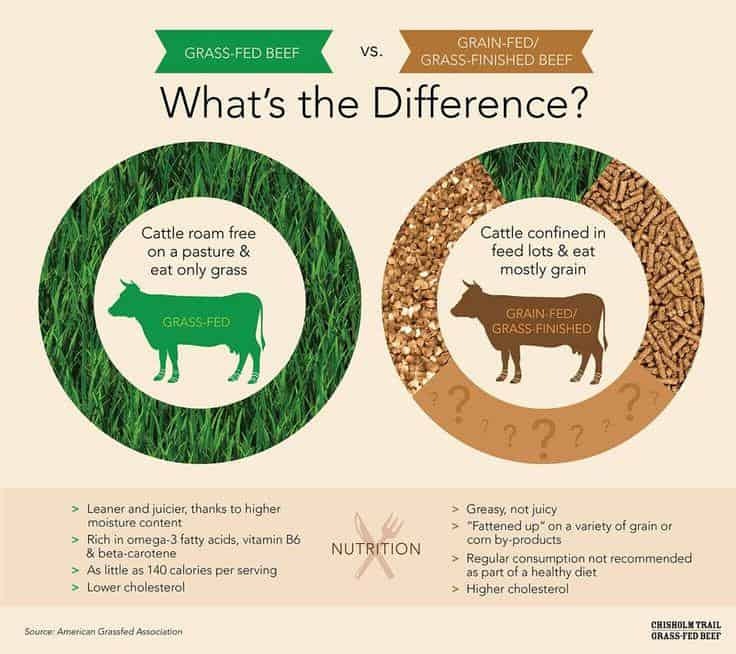 This makes our Angus Beef products Grass-Fed and Grass-Finished, naturally healthy. No Antibiotics, Implants, nor Hormones for Growth Stimulants are given. See the nutritional difference in our chart below. These animals are humanely treated physically as well as mentally, allowing minimal stress in their handling. The Process – All our cattle is Hand Processed Halal and meets strict standards and requirements for quality and transparency. All items are Halal Certified by NZIDT – New Zealand Islamic Development Trust.